Grace’s Church Council is made up of both staff and lay persons. While we have linked contact information for ministries throughout this site, here is a comprehensive list of our 2018-2019 Church Council leaders. They are all very involved in Grace and are full of information about all aspects of the Grace community. Please contact the church office for more information on how to contact these leaders. Our Lay Leaders, Jen Woolard at 8:25, Dan Meador at 9:45, and Blair Jost at 11:00 help lead worship services with the pastors. The Church Council Chairperson, Thom Feucht, and Vice-Chairperson, MaryLu Hertz, oversee the Church Council committees and lead bi-monthly Church Council meetings. Our Radical Hospitality Chair, Anna Marie Robinson, leads a team that includes greeter coordinators and communications/publications coordinators. This team also leads many of our outreach events such as Food Truck Sundays and FallFest. Our Passionate Worship Co-Chairs, Vacant at this time, coordinate the behind-the-scenes operations of our worship services. They oversee the Communion coordinators, Lay Readers coordinator, Usher team leaders, sanctuary decoration team and our Music Ministry. Our Intentional Faith Development Co-Chairs, Don and Sylvia Bynum, help the church’s program and ministry staff members in developing and implementing the many opportunities for spiritual growth. They help oversee Sunday school and small group studies, Program and Adult Ministries activities, Children’s Ministries, Student Ministries, the Grace Children’s Learning Center preschool, Senior Adult Ministries and the Nursery. Our Risk-Taking Mission and Service Team is led by Darrell Burke. 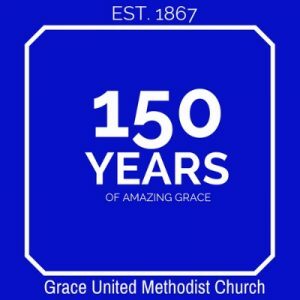 This committee deals with all aspects of adult and youth missions at Grace, including mission trips, the quarterly blood drives, English as a Second Language classes, the Caring and Sharing program, the Grace Giving Garden, Labor Finders outreach, United Methodist Women and United Methodist Men. The Extravagant Generosity chairperson is Sandy Risko, who also serves on staff as the Financial Manager. Our Nurture Commitee chairperson is Bob and Peggy Pethtal. She works with the leaders of Grace’s Bereavement Ministry, Chicken Soup Ministry, Parish Nurse Ministry, Prayers and Squares Ministry, Grace Care Team and Stephen Ministry. Will Jarvis serves as Chair of the Staff Parish Relations Committee, which oversees the church staff and is the liaison between the congregation and the staff and pastors. Jim Williams heads the Board of Trustees, who are charged with all things related to the physical church building and property. He works closely with the Church Administrator and the Maintenance and Project Coordinator. The Finance Committee is chaired by Dwayne Priest. This committee works with the Financial Manager and the Membership and Financial Giving Coordinator on staff to oversee financial operations of the church. The Church Treasurer, Sharon Berry, is also a part of the Finance Commitee. The Memorials Committee oversees the disbursement of memorial funds that are given to the church in memory or honor of loved ones and special occasions. The History and Records Committe Chair Mary Jane Parrish works with a small group of dedicated volunteers to maintain historical records of Grace’s many activities.